Cpl. James L. Walker, son of Mrs. Minnie Walker, attended Boyd High School; husband of the former Elizabeth Gentry. 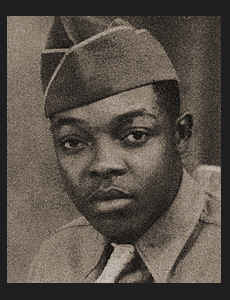 Entered Army in Feb., 1942, trained in Camp Wallace, Texas; served in the European Theatre; is now discharged. Awarded Good Conduct Medal, ETO Ribbon with three Battle Stars.